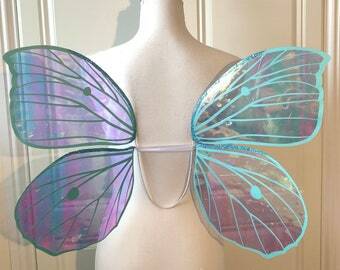 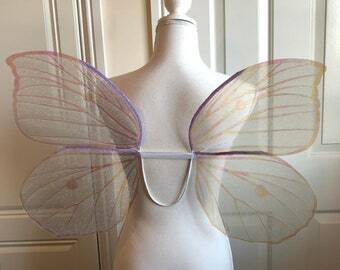 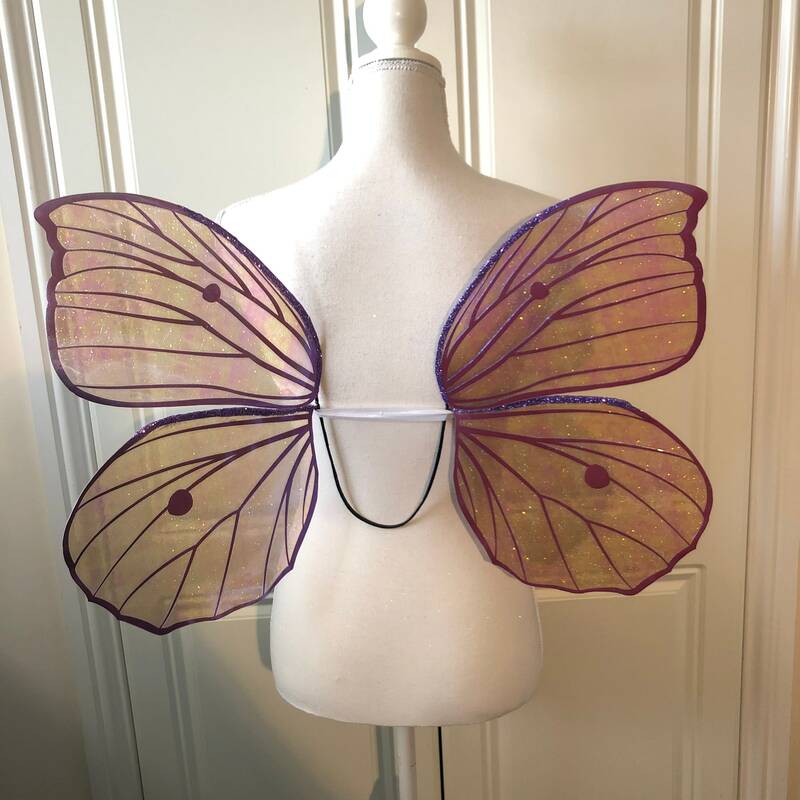 These wings are very subtle with a lovely shimmer and pink iridescent detailing. 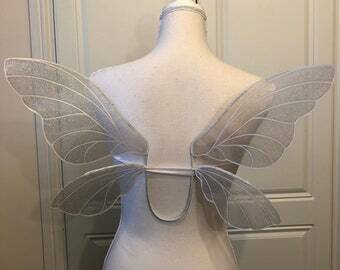 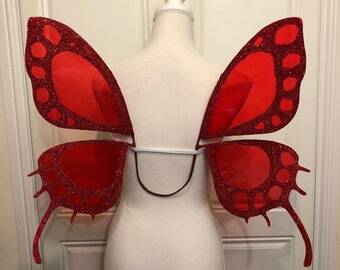 These wings are suitable for older children 6yrs+. Wings can be worn with the provided arm straps or the U bar can be tucked into tight clothing such as a bra or corset for a seamless look.